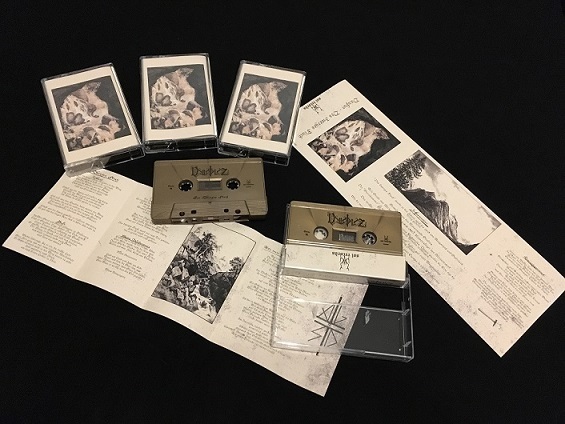 Comes on golden Pro-Tape and full coloured inlay. 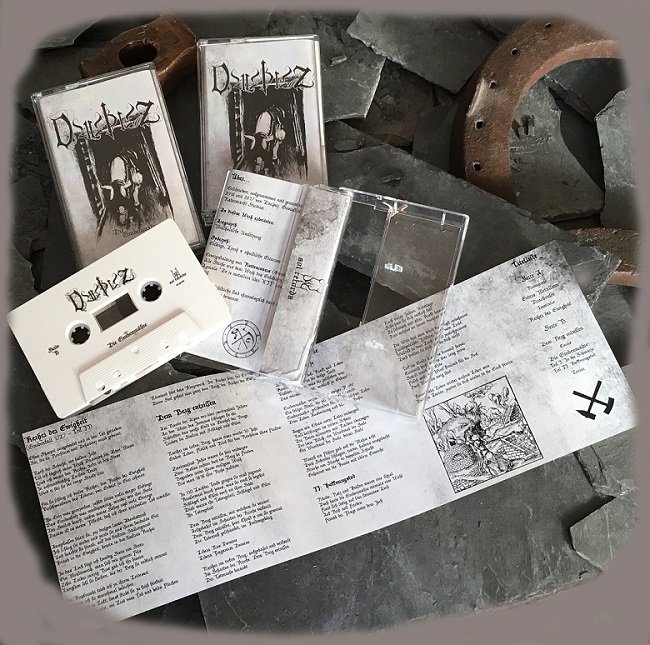 Tape Edition is limited to 100 copies and comes as protape and professional printed cover with all Lyrics. 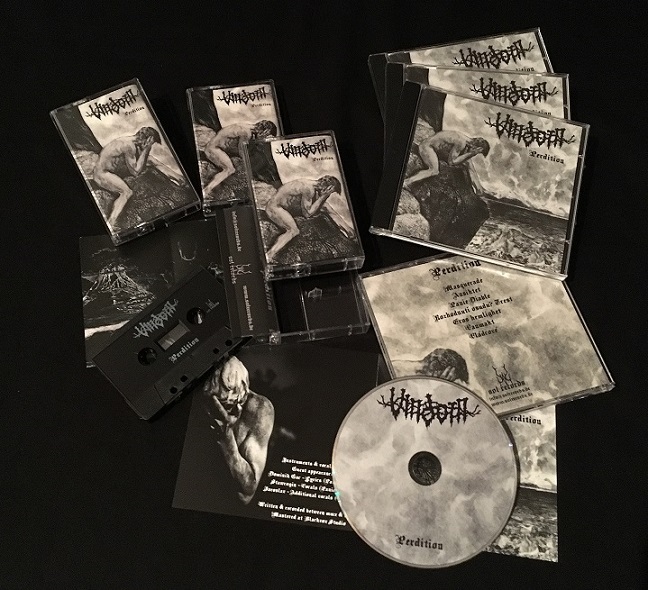 Tape Edition is limited to 100 copies and comes as protape and professional printed cover. 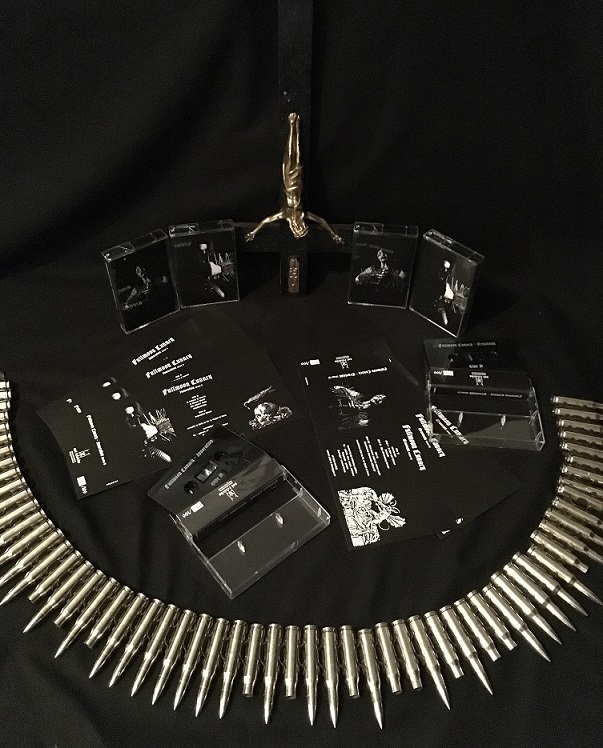 Hence - with haunting & possessed material, a hypnotic atmosphere of abysmal oppression and the mysterious intimacy of something you were never supposed to discover - these FULLMOON LUNACY demos to us combine & embody key elements that make the sinister audial terror we worship spiritually appealing. 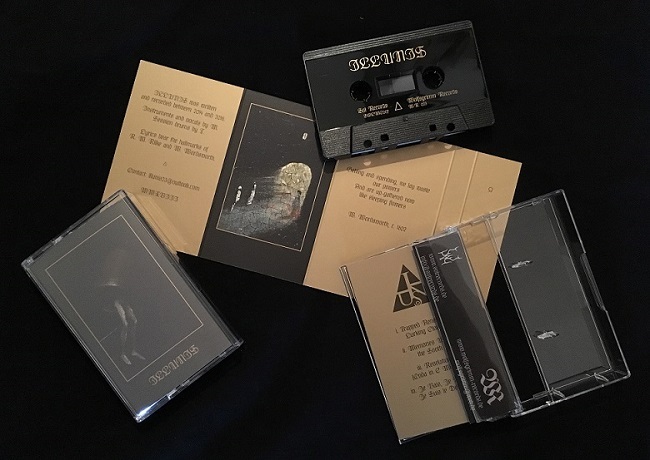 Both Tapes are limited to 100 handumbered copies. 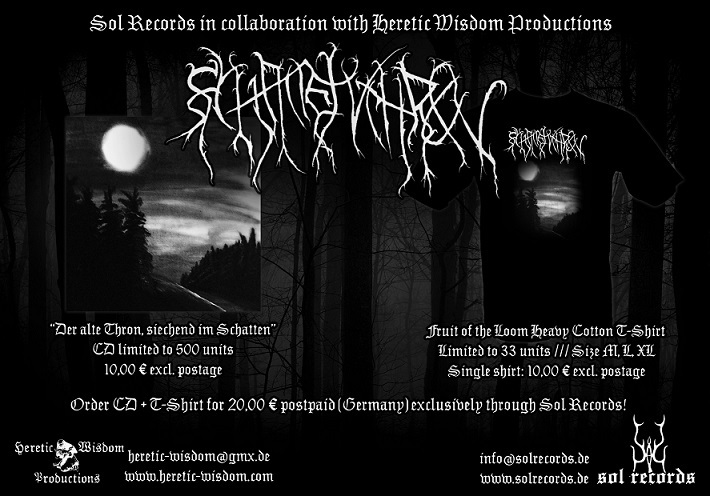 New MCD of the German Black Metal Band Schattenthron. 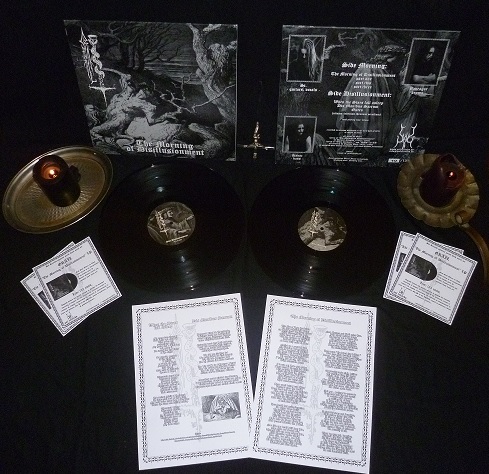 The MCD is limited to 500 copies and comes with 4-sided Booklet. 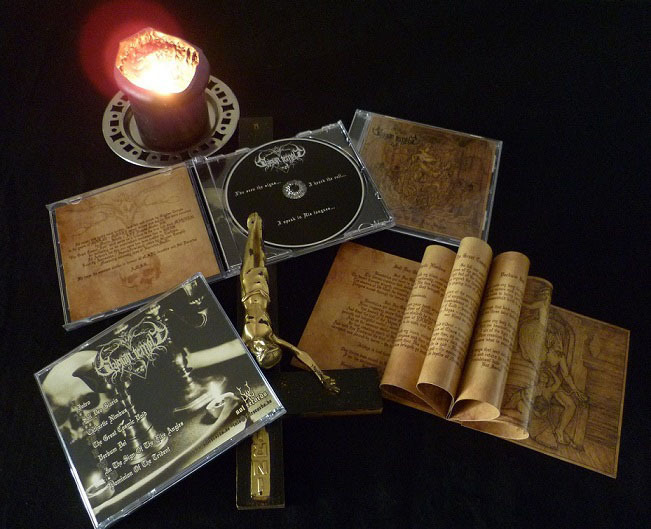 emphatically venerating the memento mori as life's true inescapable yet indispensable impetus. 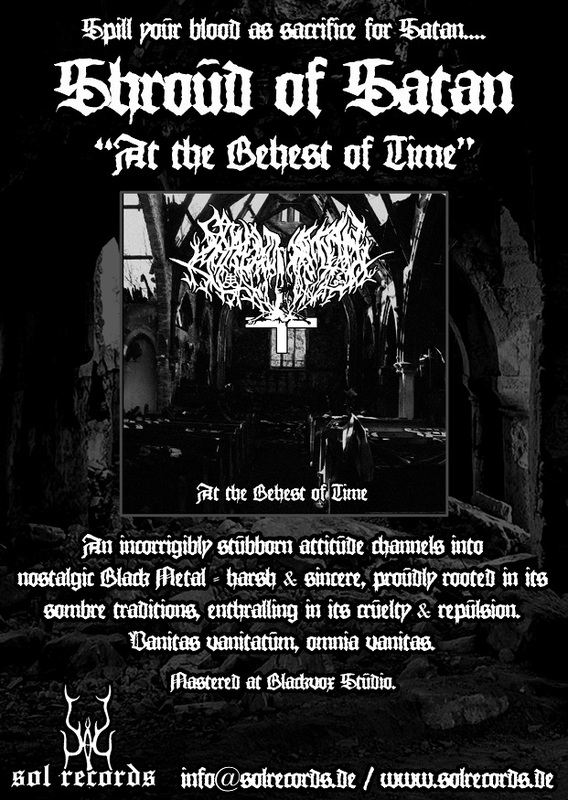 proudly rooted in its sombre traditions, enthralling in its cruelty & repulsion. 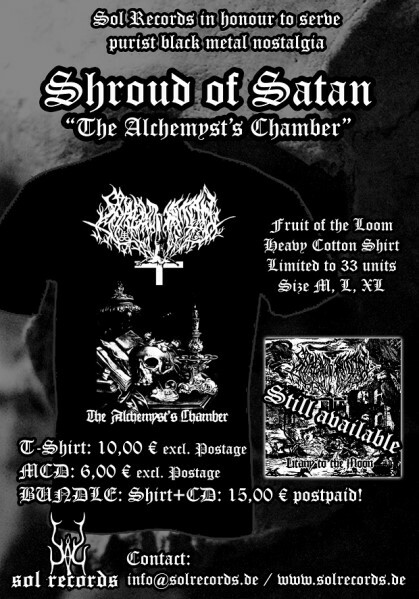 SHROUD of SATANs first album will be released at "Beyond the Mirror of Worlds" on the 21st of November 2015 in Nordhausen, where SHROUD OF SATAN will perform some new songs for the very first time live. 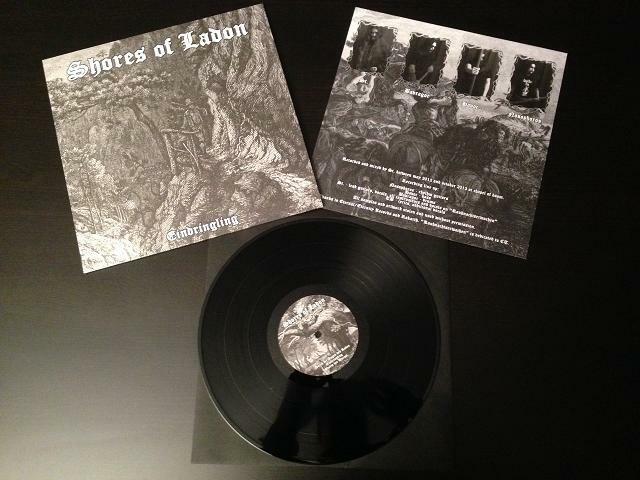 Shores of Ladon – Lupercal MCD is sold out for now but will be repressed in the next months with no changes. 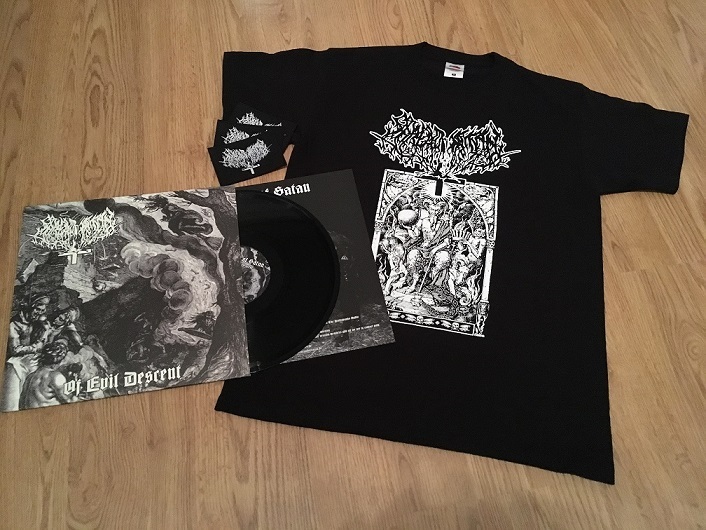 Vinyl edition of “Lupercal” will be out very soon. 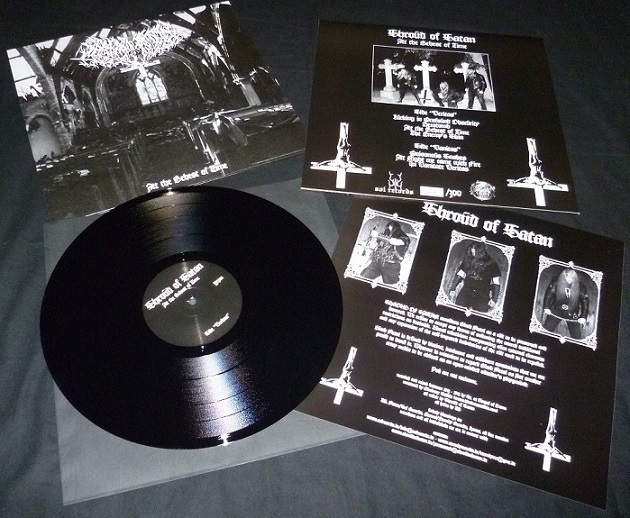 Vinyl edition will contain one bonus track, 300 copies in black vinyl made. Vinyl editions of Vindorn – Hrana and Shroud of Satan – Litany to the Moon will be send to press in the next weeks. 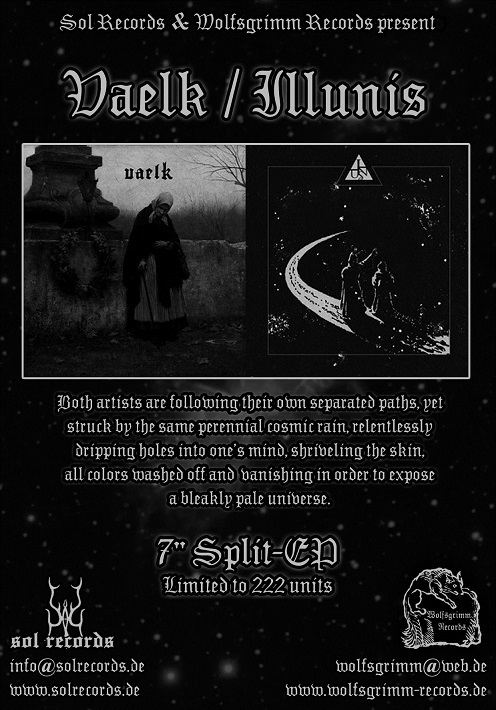 Both will be limited to 133 copies only and will contain bonus tracks. 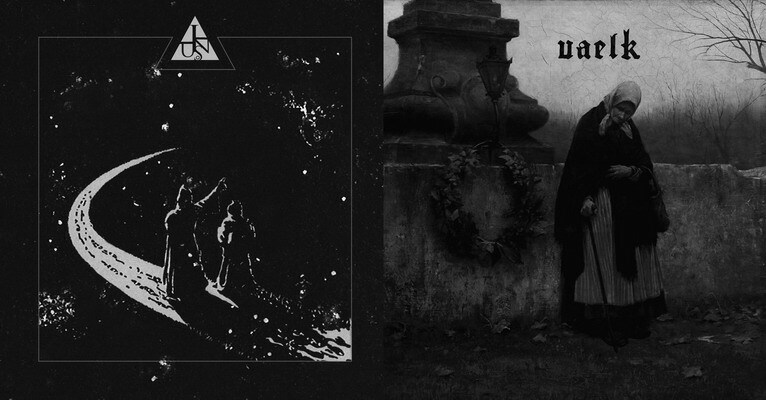 new Grail and Shores of Ladon releases delayed, both bands were unable to rehearse for more then a year. new rehearsal place found early 2013, work on new songs will start soon. 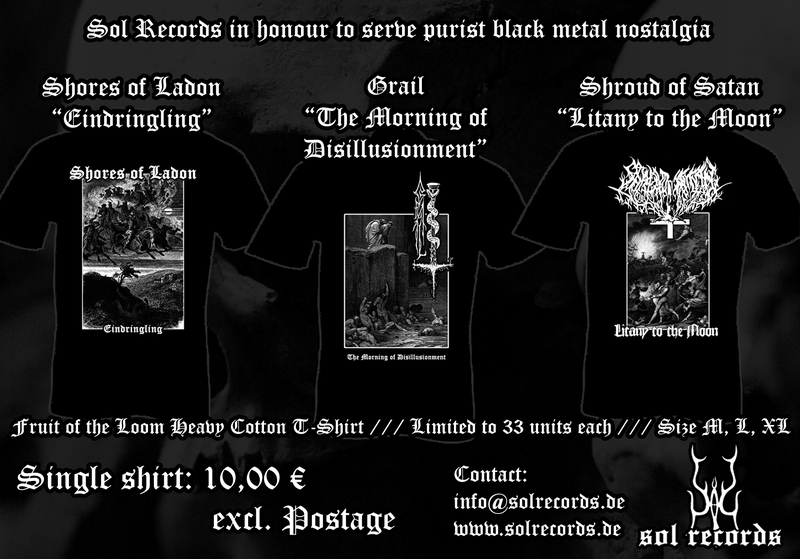 winter 2012 will bring a compilation CD with all exclusive tracks of some bands from the Sol Records roster next to some others. 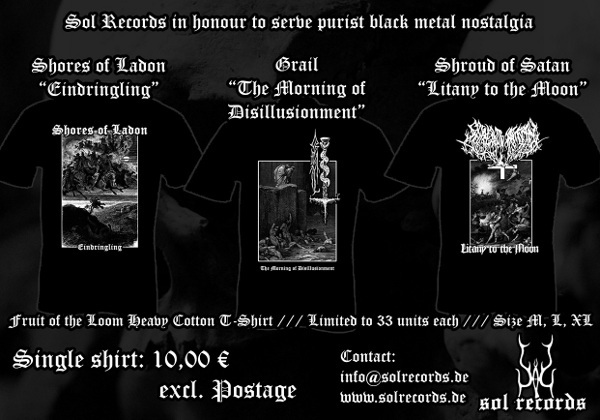 SOLREH001 Shores of Ladon - Rehearsals 2011 CDr is sold out!